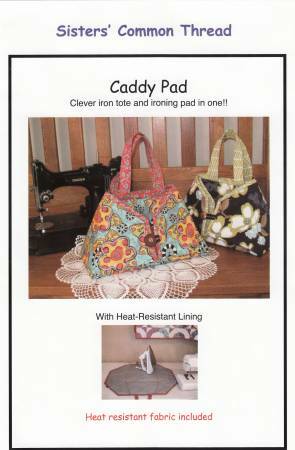 Caddy Pad Full Size- Clever full size iron tote and ironing pad in one! Easily opens to a 19-1/2in x 25-1/2in pressing surface. By changing the inside material you can make a lunch bag with placemat, so many possiblities. Silver heat resistant fabric included!